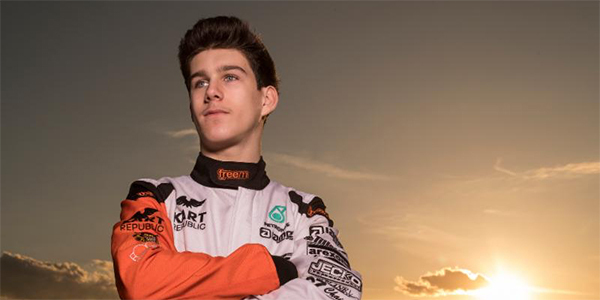 Nicholas d’Orlando, is a 15 year-old phenom who has been karting around the world for over 10 years. 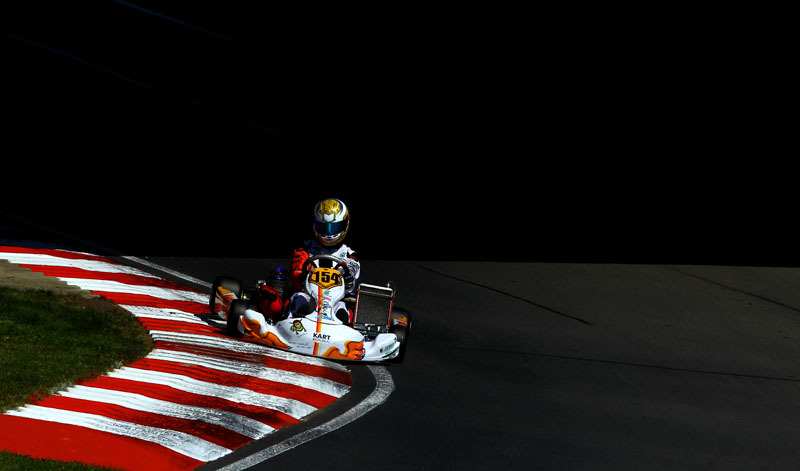 The Hartsdale, New York native has proven to be one of North America's top young karting talents, with the skills, focus and dedication needed to compete and win at the highest level. 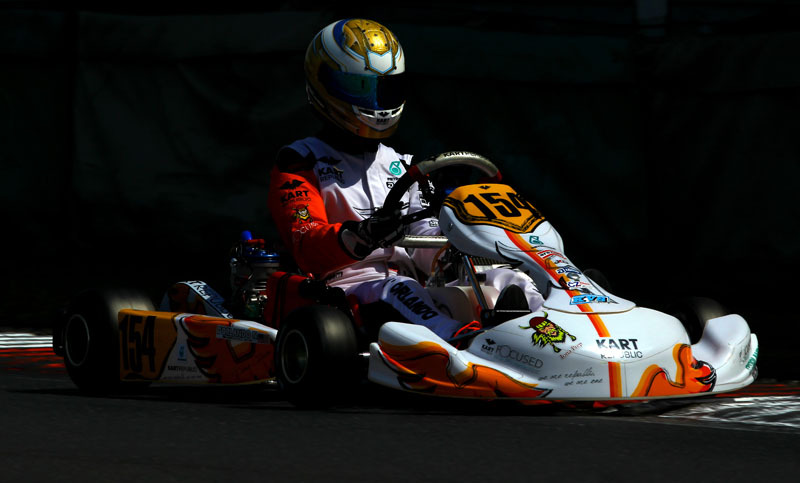 Nicholas' career began in 2008 when he stepped into a Comer 50 Kid Kart machine in what started out as a sport to bring the family together, with his Dad as his mechanic. 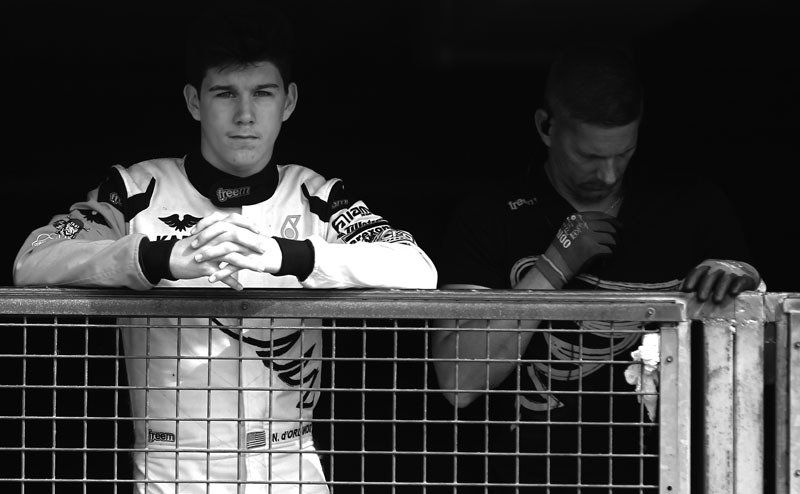 But it was in 2013 that set the stage for his future when he focused on motorsports as a career and scored the United States Rotax Max Challenge Grand Nationals Micro Max Vice-Champion title, subsequently earning his spot with Team USA for the Rotax Max Challenge Grand Finals Micro & Mini Invitational. That success was followed up with two more very impressive years of multiple national and international titles, podiums and dominating performances, making him one of North America’s finest. Moreover, his success broke records and set a new bar when his 2014 Florida Winter Tour Vortex TaG Cadet Championship podium would have him stand just two steps beside the series champion, his brother Michael – an honor never shared by brothers before at the event. In 2015, Nicholas’ dominating performance with the win at the US Rotax Grand Nationals would once again make the history books by having the first ever brothers earning the US Rotax Mini Max National Champion title. Nicholas was, without a doubt, the United States’ top driver in the Mini ranks. 2016 saw Nicholas graduate to the Junior category and he adapted quickly with pole position, heat race wins and a podium finish at the Florida Winter Tour. He continued to impress with victories in WKA Manufacturer’s Cup events, multiple Gear Up F1 Series events, and top-5 showings in the USPKS series. And to top it all off, he would close out the year at the Superkarts! USA Super Nationals in Las Vegas, Nevada with a third place podium finish at the world renowned competition. 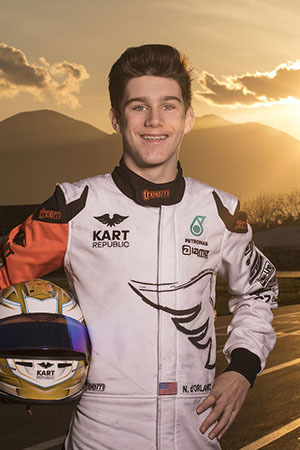 After the success in North America, Nicholas’ moved to European competition in 2017, as a factory driver for the US-based CompKart/J3Competiton squad, at the WSK Super Master series and CIK FIA European Championship series. In his rookie year, and one of the youngest competitors on the grid, he competed in four main event races and garnered valuable racing experience for his future. And now in 2018, d’Orlando has joined the program of the Kart Republic Factory Team, under world-renowned karting team owner Dino Chiesa. Nicholas’ natural talent, outgoing personality and his success at every level he’s competed thus far has earned himself the reputation and consideration as one of North America’s top drivers. 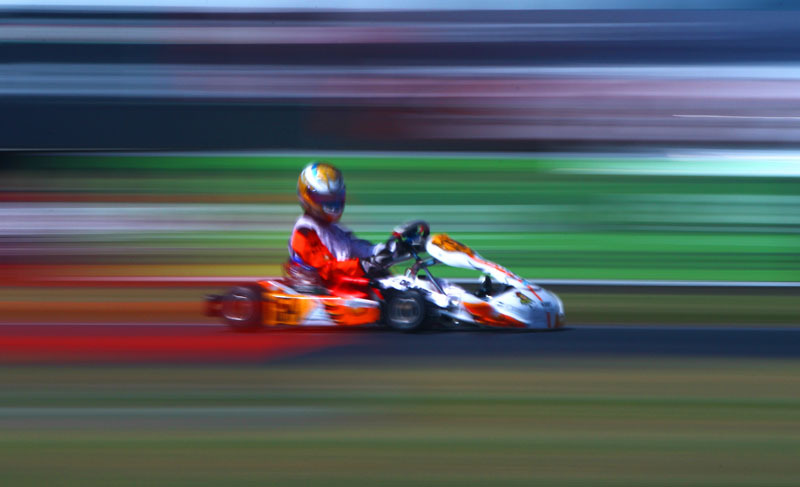 The year of 2018 was nothing short of nostalgic for 15-year-old Nicholas d'Orlando as he started the year in his 11th season as a veteran gokart racer and finished the year moving up a step on the ladder in his motorsports career. And now, the former Kart Republic Factory team driver sets his sight on 2019 and a career in car racing. 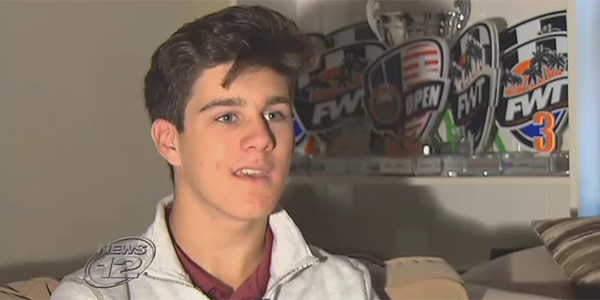 Nicholas d'Orlando, 15, has won over 100 go-kart races worldwide, and is now competing at the next level. Click through to watch the full video.